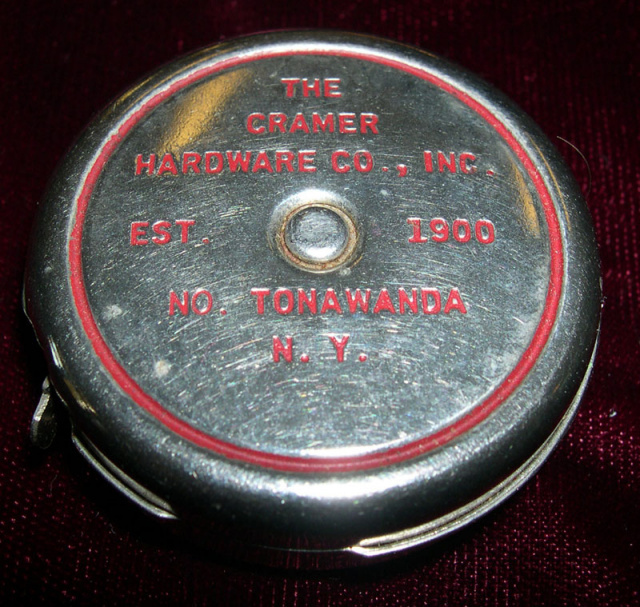 Click on an image below to see a larger version. 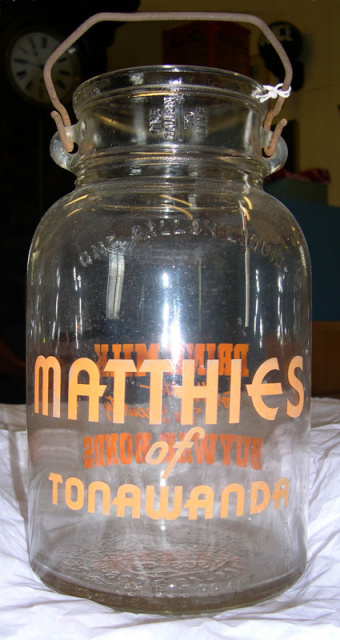 The larger photo will open in a new window. 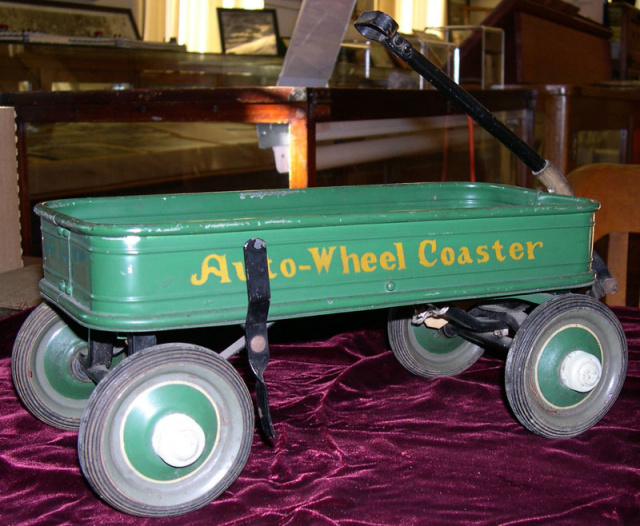 Salesman's sample of Auto-wheel Coaster wagon. 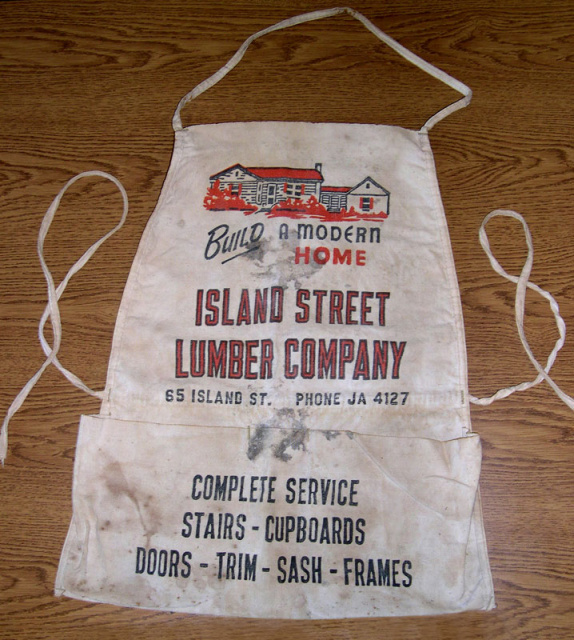 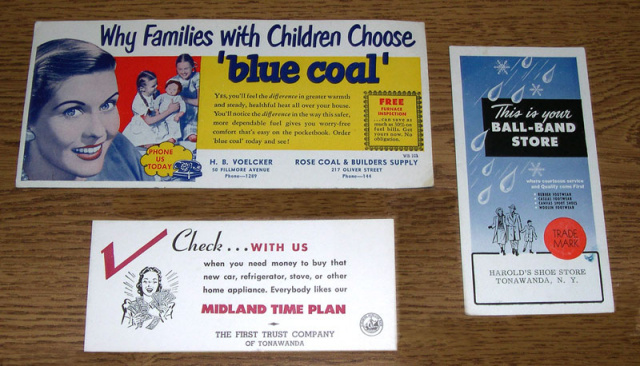 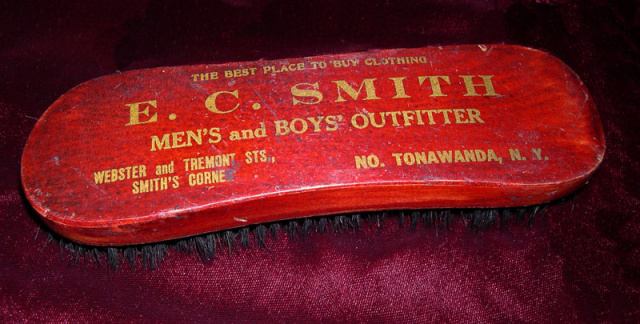 Three advertising blotters from Voelcker Coal, Rose Coal & Builders, First Trust Company, and Harold's Shoe Store. 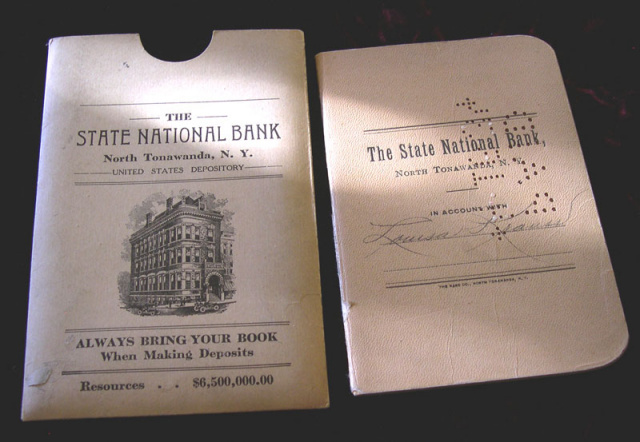 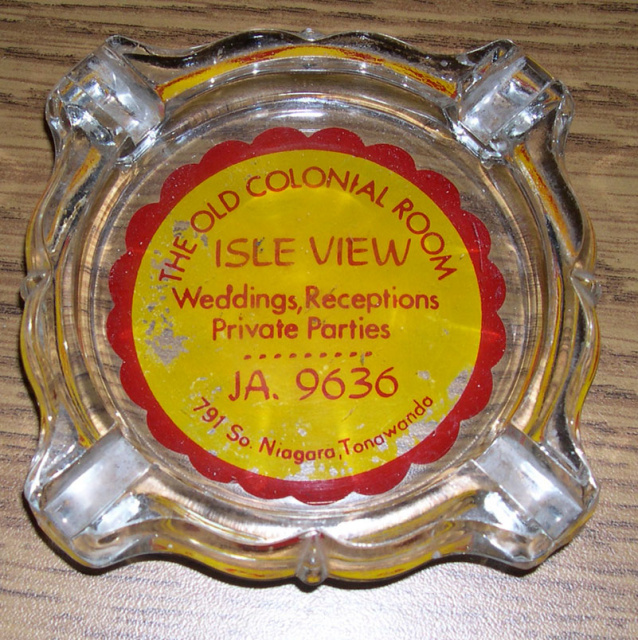 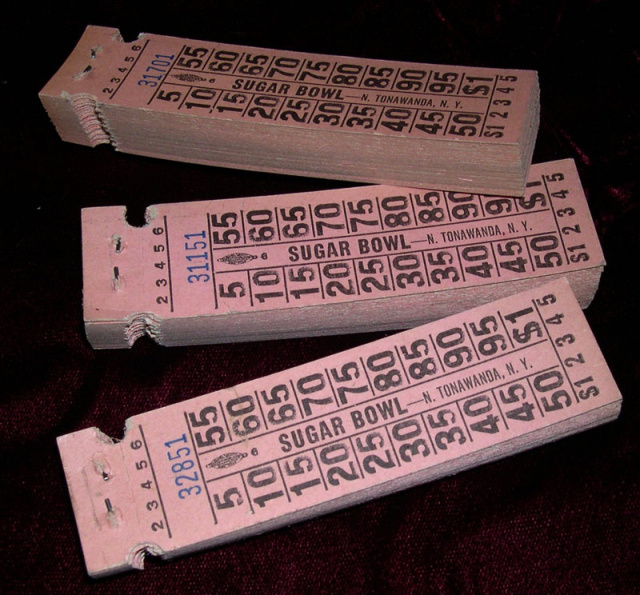 Donated by Ned Schimminger Pass book, Check, and Christmas Club envelope from State National Bank of Tonawanda. 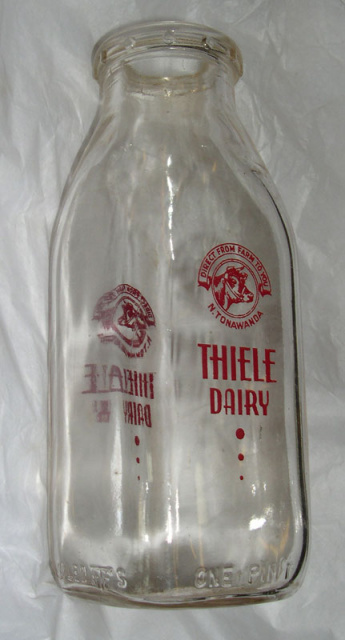 One gallon Matthies Dairy Milk bottle, orange embossed: "Drink Milk for Health" - "For Security Buy War Bonds"
One pint milk bottle -Thiele Dairy; red embossed. 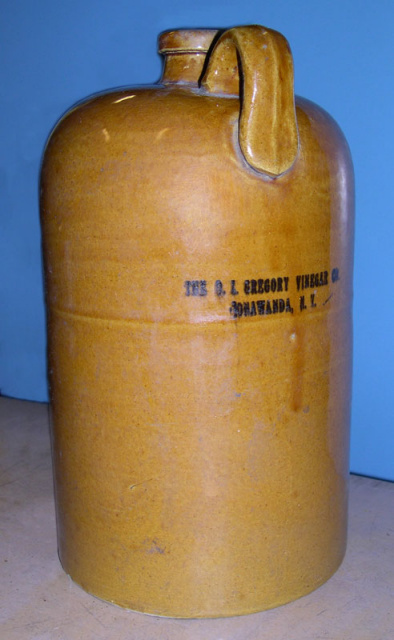 Gallon brown ceramic jug with underglaze inscription: "The O. I. Gregory Vinegar Co, Tonawanda N.Y." Made by Sherwood Bros. Pottery, New Brighton, PA.